DAVIS, Calif. – The real Hawai’i basketball team is hoping to show itself to UC Davis on Thursday. The Warriors who lost to UC Davis, 93-82, on January 19 in the Stan Sheriff Center certainly had a different look. In that loss, the Warriors started three freshmen and one senior (Vander Joaquim), and senior wing Hauns Brereton did not play at all due to a knee injury. This time around, the Warriors will likely have three seniors – including Brereton – and no freshmen in the starting lineup. How it plays out remains to be seen. The Big West Conference rematch between the Warriors and Aggies will start at 5 p.m. (Hawai’i time) at The Pavilion on the campus of UC Davis. 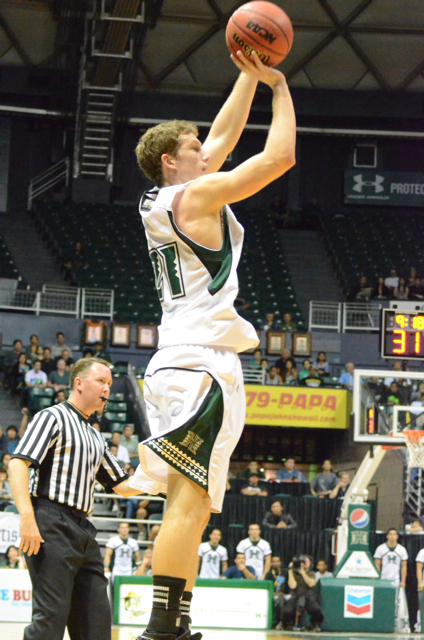 Hawai’i, which is on a five-game winning streak, is 15-9 overall and in second place in the Big West at 9-4. UC Davis is 9-13 overall and in sixth place at 5-6. The Warriors arrived in Sacramento on Tuesday night, and went through a two-hour workout on Wednesday evening at UC Davis’ practice gym. The Warriors are focused on slowing down a UC Davis team that is the only Big West opponent to reach the 90-point mark on the Warriors this season. In particular, Hawai’i can not allow UC Davis guard Corey Hawkins to score 40 like he did in Honolulu. The UC Davis player who usually shoots the 3 is Ryan Sypkens. The 6-4 junior is averaging 14.4 points per game and leads the Big West with 83 3-pointers and a .485 percentage from 3-point range. Those stats also rank among the top ten in the nation for both categories. The Warriors will also try to contain point guard Paolo Mancasola, who had a career-high 11 assists in the win at Hawai’i. Hawai’i will also try to utilize its size advantage in the post. The Aggies normally use a rotation of eight players, and the three tallest are 6-9 Josh Ritchart, 6-7 J.T. Adenrele and 6-5 Ryan Howley. The Warriors top three scorers are all 6-8 and taller. Junior Christian Standhardinger leads the way with 16.3 points and 8.1 rebounds per game. He is averaging 22.4 points and 11.2 rebounds over the last five games and has earned the last two Big West Player of the Week awards. Joaquim is averaging 14.1 points and 8.2 rebounds per game, and freshman Isaac Fotu is contributing 9.9 points and 6.8 rebounds per game, and leads the Big West with a .636 field goal percentage. The Warriors also have a rejuvenated backcourt featuring Brereton, Jace Tavita, Brandon Spearman and Brandon Jawato. Brereton is averaging 14.4 points per game during the five-game winning streak; Tavita leads the Big West in assists with 5.3 per game; Spearman ranks fourth on the team in scoring at 9.8 points per game; Jawato leads the team with 39 3-pointers and a .464 percentage from long range. Streaming Video: Live video streaming is available on BigWest.tv. Jace auditioning for your job, Dayton. Looking forward to your report and video … after the victory, of course. Thanks to the Schmidt ohana for sending you along. To be realistic, non-gender, non-controversal, common-sense.. let performance represent! Why not just “Athletix” !? OK Warriors, man up and do not let Hawkins embarrass you again! This is our revenge game , they made you look like a bunch of high school players last game , pay back time tonight! POUND ‘um and HOUND ‘um…. Show ‘um the muscle and hustle.. It goes without saying that this is another important game. UC Davis and Cal Poly are the only two teams left we have to pay back. It would be great if we can avenge those losses and go into the BW tourney knowing that every team is beatable (from a confidence building standpoint). Also, I’m excited that WI is covering this trip. Much thanks. Go Warriors! Serious road test, although I have to believe if we can come within seconds of beating 1st place Long Beach St. on the road, that we can beat any other team in the conference on the road. Important game for the former boys, recently become men and carry the momentum into UC Davis and come away with win #6 in a row! Just a few keys to carrying the momentum…. -The X-Factor, as always, is CHRISTIAN! I know we’re the Warriors now, but I’m old school…LET’S GO BOWS!!! Guys, DEFENSE, whether at home and most importantly on the road will win ball games. Have a good scout, Bigs, play big, like how, Vander came to top of key and Christian went to work. If they double Christian, leaves room for Isaac to work, if Cal Davis pays attention to Fotu, Christian or Vander go to work! Developing a nice variation on offense, good job coach and staff. Perimeter guys, Spearman, Jawato, Hauns, even if not hitting a ton of 3’s , still play defense, hit the glass, dive for loose balls, hit mid range, go to rim, and hit FT’s , and of course, keep turnovers to 13 or below, give youself chance to win in last few minutes of game. 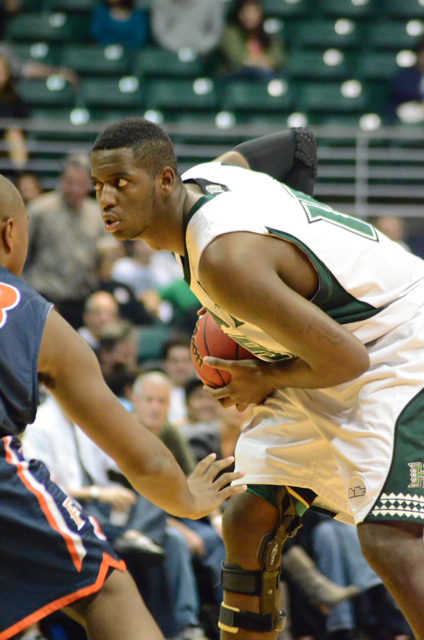 UH: Big Boy and smart Boy Basketball, you guys can get the 2 wins. Hopefully no worse than split 1-1, should have a nice flight home! And Gee Garrett Jefferson, important role: backup ball handler, and super defender, you can have great impact on both games, your energy and on ball defense,playing passing lanes, and getting clean steals and blocks are huge. Also, you have improved form a 40% FT shooter to around 66% shooter this year , that is huge, now have to concentrate, relax, bend knees, take deep breath and shoot 2 FT’s , nothing but net. Same for Fotu and Christian, have to bend knees, breath, relax, focus, nothing but net, Isaac and Christian, have to get your FT percentages up to 70% or above, so vital to winning these last 5 BWC games, on road and as SSC!! You & TEAM both make the same mistake sometime, which is that only play one good half of a game! You’ve cracked the 30pts+15bds double-double club but you know what, your 1st1/2 was disappointing for that game!? You could had had 40pts+20bds; a new record all by yourself! That’s it a “New Record” for you to set. Make it easier, just by providing 20pts+10bds for two consecutive halves of any game. As for you, TEAM, just scored 44pts every 1/2, will win you a lot more games. This is the perfect time to commence! 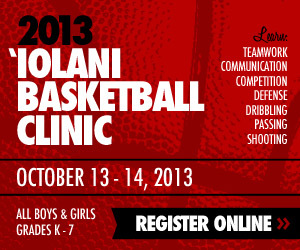 Hawaii you got the talent to elevate your game to another level. The time is now. Take Back This Game & This Series….